Homelessness is a complicated issue. It’s not just about losing the roof from over your head. It’s about losing self-esteem, confidence, structure and purpose. There are often deep-rooted reasons why someone has ended up homeless. Some people are easy to help; others are very hard to help. Many people need professional support to move on in life. We know it’s really easy to judge, but there is always a real person and a hidden story behind every case of homelessness. Unlike most of us, some people can’t draw on a stable upbringing or the support of friends and family to help them overcome life’s setbacks. Drug, alcohol and mental health issues may have further complicated their lives. Housing with support > Our own clean, safe housing combined with individual, targeted support is the most effective way to get people back on track and making a positive contribution to the community. Support is for six to twelve months and we can house 100 people at any one time. Last year we housed and supported 206 people. Preventing homelessness > Floating Support is the national name for a service that helps prevent homelessness. Launchpad supports single parents, families, couples and individuals to stay in their own homes by helping with landlord issues. We also help find appropriate housing for people stuck in unsuitable accommodation, such as families in B&Bs. We reach over 100 people at anyone time with the Launchpad Floating Support service and support lasts between six weeks and six months. Last year we helped over 400 people. Drop-in > Our Drop-in is available to anyone in Reading who needs housing or homelessness-related advice. You could be sleeping on a friend’s sofa, not sure how to find accommodation, worried about rent, have landlord problems, need benefit advice or help with drug or alcohol misuse. Come in and we can help. Last year we provided guidance, advice and support to more than 600 people. Relationship breakdown – someone needing to leave the family home. No job or losing a job – a job gives structure and purpose to your life, bringing in money to support you and your family. Lack of affordable housing – we really struggle in Reading; there isn’t enough affordable housing to rent and buy. Alcohol and or substance misuse – this can be a cause or a consequence of homelessness, as it’s often used to escape the reality of sleeping rough night after night. No support network – having no family or friends to help practically or emotionally this can be especially hard for people brought up in care. Previous experience of family homelessness. Mental health problems – these can be a cause or a consequence of homelessness. Family background: – including family breakdown or disputes or having parents with drug or alcohol problems. People sleeping, about to bed down (sitting on/in or standing next to their bedding) or actually bedded down in the open air (such as, on the streets, in tents, doorways, parks, bus shelters or encampments). People in buildings or other places not designed for habitation (such as stairwells, barns, sheds, car parks, cars, derelict boats, stations, or ‘bashes’*). *The Office of the Deputy Prime Minister’s definition of rough sleeping. A ‘bash’ is a makeshift shelter often comprised of cardboard boxes. Have nowhere suitable to live – e.g. you have no legal right to the accommodation in which you live, your accommodation is overcrowded, or you are likely to lose your home within the next 28 days. Be eligible for help – this is to make sure that you are able to receive help from a local council in this country and will consider things such as your immigration status and whether or not you normally live in the UK. Be in priority need – this will determine whether or not you are in one of the pre-defined groups of people who are prioritised for assistance including pregnant women, those with dependent children, care leavers and young people aged 16-17. Not be ‘intentionally’ homeless – you will be classed as intentionally homeless only if you deliberately did (or did not do) something which made you homeless without good reason. Have a connection with the local area – the local council which provides you with help has to be one which you have some kind of connection with, such as you have lived, worked or have family connections there. 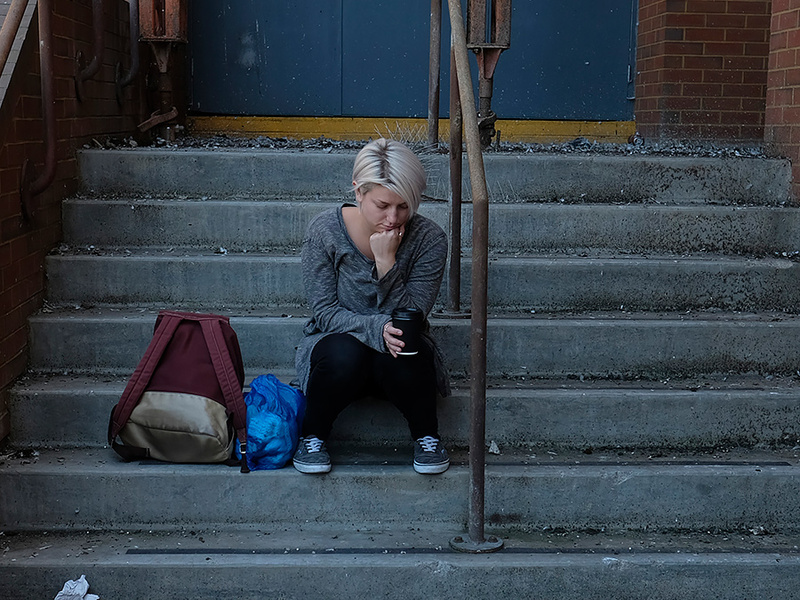 If someone doesn’t meet one of these conditions they are deemed to be non-statutory homeless and are not entitled to the same amount of support. It’s complicated and we can help. If you think you might be homeless or at risk, visit our Drop-in on Monday, Wednesday or Friday between 10am and 2pm at The Stables, Merchants Place, Reading RG1 1DT (along the alley on Friar St, at the side of Nando’s). Or call 0118 929 1111 or email support@launchpadreading.org.uk Monday to Friday 9am to 5pm. If you are a single homeless person it is unlikely that you will be judged to be in ‘priority need’ unless you are particularly vulnerable. single people and couples who have no dependent children and do not fall into the statutory definition of vulnerable. families with older children who are no longer dependent. Everyone’s experience of homelessness and support requirements are different. St Mungo’s, The Salvation Army and Launchpad along with many faith groups in the town provide housing, support and food seven days a week. If you’re homeless or worried about becoming homeless please come to our Drop-in and we can help.